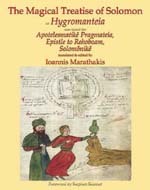 “The 'Sourceworks of Ceremonial Magic' series is one of the most important series on ceremonial and grimoire magic in print today, rivalled only by the 'Magic in History' series, published by Pennsylvania State University Press, and the 'Palgrave Historical Studies in Witchcraft and Magic' series, published by Palgrave Macmillan.” ~ Boris Balkan. Pages: 524 pages, 8" x 10"
Published: 6th July 2018. Now Available. Gazelle or use the PayPal button to order immediately. 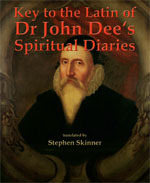 This book contains John Dee's Spiritual Diaries for 25 years (1583-1608), now made available for the first time in an organized and readable form. 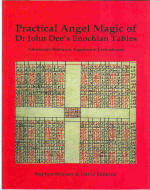 For any scholar or practitioner of magic, easy access to Dee's Enochian system is one of the most important parts of the Western Esoteric tradition. This book covers Dee's invocation of the angels, the reception of their Enochian system of magic, his experiments in alchemy, and experiences in the courts of the crowned heads of Europe. This book has been totally re-set, re-formatted and updated, incorporating corrections from the original notes of Meric Casaubon, Elias Ashmole and William Shippen, with reference to the original manuscript written by Dee. 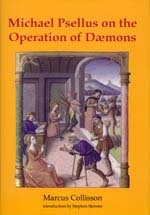 Sections which were originally missing from Casaubon's edition have been added. Angels, spirits, people, places, dates and times have been fully footnoted, and thousands of Casaubon's errors corrected. The reader will find this a much more accessible entrance to the world of Dr Dee's conferences with angels and spirits, and a welcome improvement. 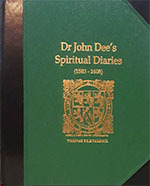 The Key to the Latin is a full translation of the more than 50,000 words printed in Latin in Dee's Diaries originally published in 1659 by Meric Casaubon as A True & Faithful Relation..., and fully corrected and republished by Golden Hoard as Dr John Dee’s Spiritual Diaries (see above). Many of the insights provided by the latin text have never been picked up, or remarked on, by Dee's biographers in the past. This volume should be read in conjunction with the edited version of Dee's Diaries, illustrated above, which is available direct by using the PayPal button on the left, or from Llewellyn Books Worldwide. This is the true ancestor of the Key of Solomon. Containing the full translation of the Hygromanteia. This book is sometimes called the Hygromanteia, and this book has hidden behind the mistaken idea that all of it is a work on water divination, a scholarly mistake that has hidden the true value of this book for centuries. 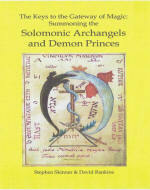 Throughout history thousands of people have been fascinated by the grimoire the Key of Solomon. 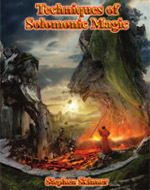 This is the original Greek book of magic that was the source of the Key of Solomon, and in turn the ancestor of most of the grimoire-based ceremonial magic practiced in Europe and the US today. Abridged Latin copies entitled the Clavicula Salomonis circulated in Europe, going through many changes, languages and versions to become the Key of Solomon as we know it (some of those manuscripts are published as Volume IV of the present series). Now for the first time you can read the whole text (large portions of which were left out of the Latin translations). Liber Lunae is fully transcribed from a sixteenth-century English manuscript, annotated, edited, and supplemented by modernized English versions of 'The Hours of the Day and Night', 'The Figures of the Planets', and 'The Mansions of the Moon', combining both Liber Lunae and Sepher ha-Levanah. 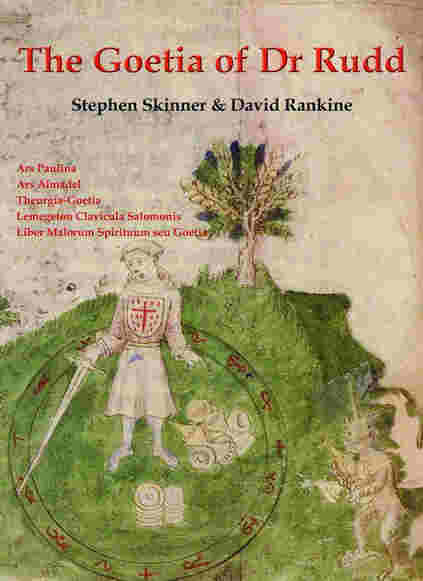 Transcriptions of related material on talismanic images and on the virtues of different hours and their names from other sections of Sloane MS 3826 are also included. The full introduction places the material contained in Liber Lunae into the general scheme of magical literature. 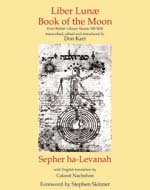 This volume also features a facsimile of A. W. Greenup's 1912 edition of Sepher ha-Levanah, a Hebrew version of Liber Lunae material. A full English translation of Sepher ha-Levanah prepared by Calanit Nachshon is included. 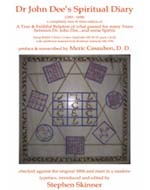 Geomancy - divination by earth - ranks alongside the tarot, astrology and the I Ching as a major form of divination. Since the Renaissance it has largely fallen out of favour for want of generally available information on its practice. This is the first and most comprehensive book in English to cover the full historical background and practice of divinatory geomancy, and will therefore be invaluable to all those interested in divination, magic and astrology. 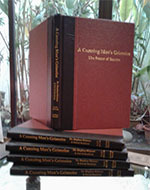 It is the only complete history in any language, covering geomancy's various manifestations in different cultures, as well as being a practical manual showing how to cast and interpret geomantic figures. 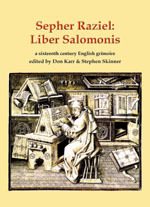 Sepher Raziel - also called Liber Salomonis - is a full grimoire in the Solomonic tradition from a rare sixteenth century English manuscript. It is completely different from the Sepher Raziel ha-Melakh published by Steve Savedow, and is the oldest grimoire so far published in the Sourceworks of Ceremonial Magic series, and shows clear signs of it Hebrew and Greek roots, quoting both Solomon and Hermes. Semiforas or a Book of Names and their virtues and properties, being seven semiforas attributed to Adam and seven semiforas attributed to Moses. The Sepher Raziel text is given in two forms: a literal transcription with no changes in spelling or wording, and a full modern annotated English version. 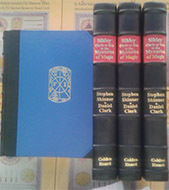 This unique manuscript (unlike the more rustic examples attributed to St Cyprian called the Black Books of Wittenburg, as found in Scandinavia, or the texts disseminated under his name in Spain and Portugal) is directly in line with the Solomonic tradition, and therefore relevant to our present series of Sourceworks of Ceremonial Magic. It is unique in that instead of being weighed down with many prayers and conjurations it addresses the summoning and use of both the four Archangels, Michael, Raphael, Gabriel and Uriel as well as their opposite numbers, the four Demon Kings, Paymon, Maimon, Egyn and Oriens. 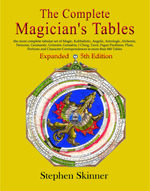 The later are shown in their animal and human forms along with their sigils, a resource unique amongst grimoires. The text is in a mixture of three magical scripts, Greek, Hebrew, cipher, Latin, (and reversed Latin) with many contractions and short forms, but expanded and made plain by the editors. The title of the manuscript, Clavis Inferni sive magia alba et nigra approbata Metratona, literally means‘The Key of Hell with white and black magic as proven by Metatron'..
Michael Constantine Psellus (1018 �C 1178 C.E) was one of the most notable writers and philosophers of the Byzantine era. The Byzantine domain was effectively the eastern Greek speaking part of the Roman Empire centred on Byzantium (Constantinople, modern Istanbul) which split off from the Latin West in 364 C.E. Its intellectual legacies helped lay the foundations for the Italian Renaissance. Hailing from Constantinople, Psellus’ career was an illustrious and practical one, serving as a political advisor to a succession of emperors, playing a decisive role in the transition of power between various monarchs. He became the leading professor at the newly founded University of Constantinople, bearing the honourary title, ‘Consul of the Philosophers’. He was the driving force behind the university curriculum reform designed to emphasize the Greek classics, especially Homeric literature. Psellus is credited with the shift from Aristotelian thought to the Platonist tradition, and was adept in politics, astronomy, medicine, music, theology, jurisprudence, physics, grammar and history, and well qualified to explain daemons. 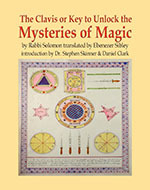 The Key of Solomon is the most important and influential of all European grimoires. This is the most beautiful and detailed version of this grimoire ever published. 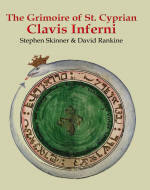 With a comprehensive introduction by Stephen Skinner and David Rankine. 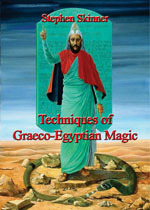 This is a book that every practicing magician or scholar of the occult must have. The source is two French manuscripts scribed for a French aristocrat in 1796. 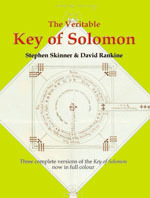 This is not the earliest, but it is the most detailed version of the Key of Solomon. The book contains three separate versions of the Keys, in order to cover as much of the material as possible. It is much more complete than the Mathers’ edition. 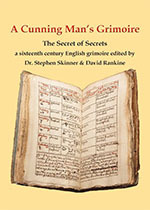 It includes a full commentary on all the 144 extant manuscripts of this grimoire, including illustrations from the earlier Greek manuscript precursor of the Key of Solomon, which is also published by Golden Hoard (see The Magical Treatise or the Hygromanteia elsewhere on this site). Additionally the evocation of the four Demon Princes and their role within the system of magic which can now be seen to cover all spiritual creatures from Archangels to Demons to Olympic Spirits and Elementals is also presented in detail with rare manuscript material being made available for the first time. Amongst the rare material is a previously unknown text dealing excusively with the Demon Princes. Full transcription of 4 key magical manuscript in the British Library, and in the Bodleian Library. The 17th century summation of John Dee's works. © Copyright 2005 - 2009 Golden Hoard Press Pte. Ltd. All rights reserved.